ATHENA Award finalists share their quotes and mottos that inspire them to keep reaching higher. Inspiring numerous others, this year’s ATHENA Awards finalists embody what it takes to be leaders in their professions and communities. 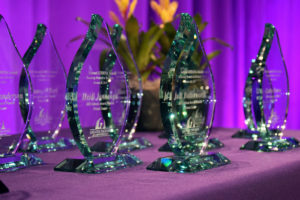 The ATHENA Awards honor women who have shown great leadership within their industry, mentored women throughout their career and dedicated themselves to the community. They shared quotes and mottos that inspire them to keep reaching higher. Assume it’s going to be great and often times it is great. Our job is not to change behavior, our job is to inspire, motivate and find the key to unlock motivation so people will change themselves. I made a big change in my health and I think, what if I just did it five years ago? So it’s best to not hold back and just do it now. You have to be prepared any day because opportunities are always around us. Work is not a social club. If I want to be liked I’d go home. At work, if I have to make a tough decision I have to make it and some people won’t like it. Constantly planting that possibility in other people’s heads is what we call in the educational world “cognitive dissonance.” If you can imagine a different possibility, you can create it. This is a quote I share with mentees when they have trouble figuring out what makes them happy. – The 29th Annual ATHENA Awards Luncheon is on Wednesday, Oct. 26, 2016. Click here to register.